Prof. Rogers: In recent years low-calorie sweeteners have been in the headlines because of concern that they may undermine rather than help with healthy weight management. That concern is based on selective reporting of studies and outright speculation. Our aim was to review the totality of evidence on this subject, which included results from human and animal (mouse and rat) studies. 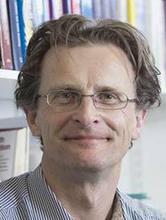 Prof. Rogers: We found that randomised, controlled intervention trials in humans showed consistently that low-calorie sweeteners versus sugar consumption reduced energy intake and body weight, with no effect or even reduced body weight compared with consumption of water. These types of studies provide the strongest form of evidence – superior to animal and observational studies. In the animal studies, exposure to low-calorie sweeteners was mostly not representative of how people consume low-calorie sweeteners.